The Airmaster also has the ability to shoot BBs. Remington's Airmaster 77 pellet air rifle has a low velocity capacity of 750 feet per second. Though this is quite substantial when compared to BB and Airsoft guns, this rifle was not engineered for serious hunting. Plinking and minor varmint culling are the main functions of this firearm. 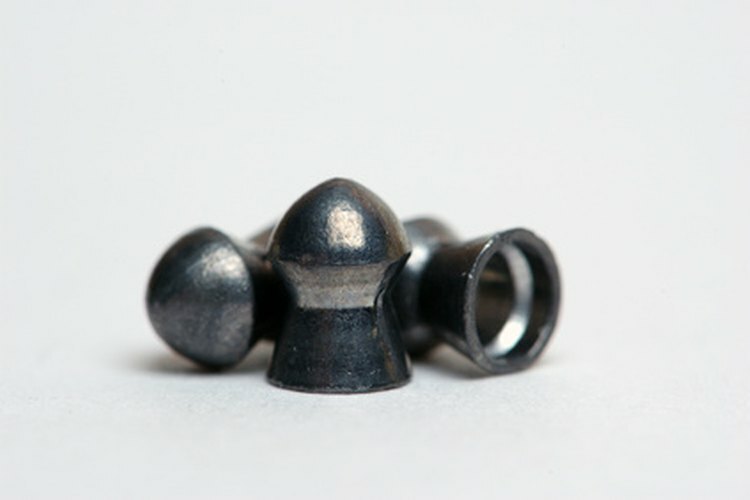 The Airmaster 77, being a pump-driven weapon, can produce different levels of pressure, resulting in various pellet ballistics. With a modest weight of 4.8 pounds, relatively short length and chambering in .177, this pellet rifle is geared toward young or novice shooters. Make sure that the firearm is unloaded. Check and clear the breach of any BBs or pellets. Apply the crossbolt safety by pushing the button next to the trigger so that it protrudes on the right side of the firearm. Again, push from the left side of the gun toward the right. Join the upper receiver and the stock by inserting the smaller end of the synthetic stock into the rectangular opening behind the trigger. Screw these two parts together. Only two screws are required. Screw the magazine tube to the barrel in the three separate areas. Screw the barrel into the upper receiver in a clockwise fashion. When the barrel reaches the end of the threads, push inward until you hear a click. The barrel now will be in place. Find the forearm cap and screw it to the bottom of the magazine tube, aligning it with the receiver. The receiver and the forearm cap should be flush. Always perform maintenance on an unloaded firearm.